Above is just a random snapshot I took. I was standing on a bridge over the Autobahn and thought I take a snapshot. I thought the photo would look interesting after I used some kind of black and white preset on it. 🙂 Wow! 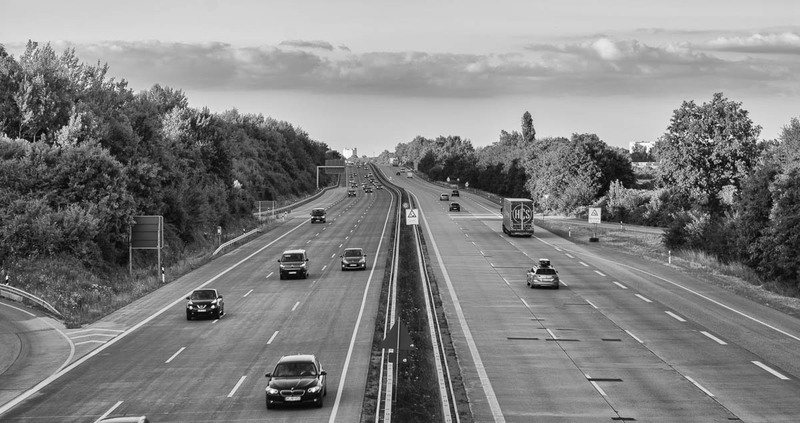 The highway looks magnificent in black and white!